Now a mechanism by which superconductivity arises at low temperatures in a compound of ytterbium, rhodium, and silicon (YbRh2Si2) has been discovered by an international team: Prof. Erwin Schuberth of TUM and the Walther Meissner Institute of the Bavarian Academy of Sciences, Prof. Frank Steglich, director of the Max Planck Institute for Chemical Physics of Solids in Dresden, Prof. Qimiao Si of Rice University, and Prof. Rong Yu of Renmin University. Translational cancer research will be the focus of the new TranslaTUM central institute at the Technical University of Munich (TUM). The topping-out ceremony for the new research building (investment volume of approx. EUR 60 million) has just taken place. Biomedical research connects at all three TUM locations. Located on the clinic campus in Bogenhausen, TranslaTUM will provide interdisciplinary teams bringing together engineers, scientists and clinicians with the ideal environment to quickly “translate” research findings into practical applications (diagnostics, therapies), hence the name TranslaTUM. The Chair of Medical Sensor Technology, a position which is in the process of being filled, will also be based at the new central institute to ensure full integration into clinical practice. The German federal government is financing the new research center to the tune of EUR 24 million thanks to the approval of the expert committee of the German Council of Science and Humanities – which was impressed with the potential cross-regional reach of the TranslaTUM concept – and the excellent caliber of the scientists involved. The founding director of the new central institute is the renowned nuclear medicine scientist Prof. Markus Schwaiger. TranslaTUM is part of an overarching concept which the university is implementing step-by-step. Biomedical research activities are being expanded and interlinked across all three main TUM campuses. In addition to TranslaTUM, there is the Bavarian Nuclear Magnetic Resonance Center (Garching), the TUM Center for Functional Protein Assemblies (CPA) (Garching) and the Klaus Tschira Foundation’s Multiple Sclerosis Research Center (Munich). 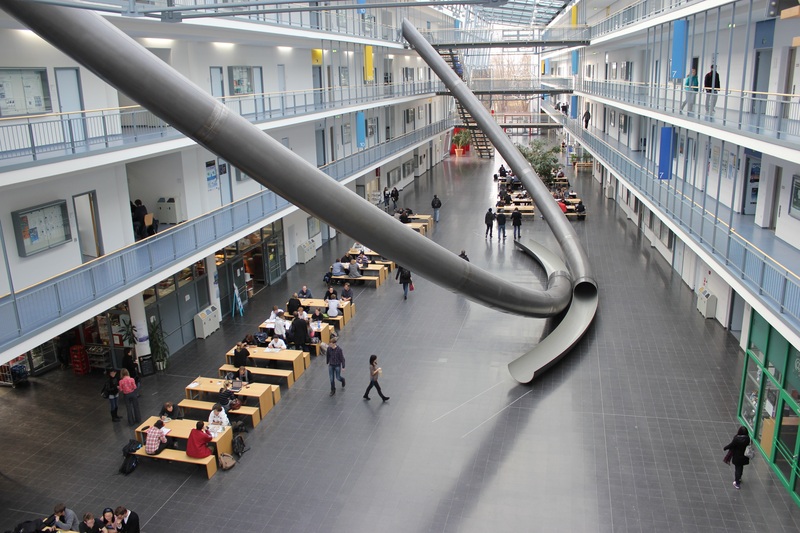 TUM’s MUNICH SCHOOL OF BIOENGINEERING is an integrative research center that provides a common teaching and research platform for all relevant medical engineering activities across different departments, including imaging technologies. Whether in the form of antibodies, enzymes or carriers: proteins play a crucial role in biology. While researchers have been able to at least partially determine the three-dimensional structure of many proteins, the structures of many other protein building blocks and even entire protein molecules remain as yet unknown. These “dark proteins” could be the key to understanding diseases. Using bioinformatics methods, an international team of scientists including researchers from the Technical University of Munich (TUM) has come one step closer to unveiling the mystery that surrounds the dark proteome. Protein research and biomedicine are two of TUM’s core research areas. Fifteen percent of the mass of an average human: that is the overall amount of all proteins, also known as the proteome. The protein molecules perform essential functions in the body and cells. They initiate metabolic processes, help the organism ward off diseases and ensure that vital biological substances are transported. The function of these proteins is significantly determined by their three-dimensional structure. Yet there are also proteins that either completely or at least partially differ from the structure that has so far been elucidated by scientific experiments. As a result, their structure cannot be modeled. Researchers refer to these proteins and protein building blocks as “dark proteins” and collectively as the “dark proteome”, in analogy to the dark matter found in outer space. Up until now, scientists still did not know how many of these proteins form part of the dark proteome. Together with the Commonwealth Scientific and Industrial Research Organisation (CSIRO) in Sydney and the University of Lisbon, Dr. Andrea Schafferhans from the Chair of Bioinformatics at TUM studied the properties of the dark proteome. They did so by filtering out pieces of information from various databases, linking them with each other and evaluating the data. The “Aquaria” database, a joint project organized by CSIRO and TUM, played an important role in this process. The website went live in early 2015 and allows all researchers to have the 3D structure of protein sequences computed. The database does this by referring to existing structures and using that information to create a probable model for the new structure. This website helps researchers determine which protein structures are in fact “dark”. The result: Half of the proteome of all living beings whose cells have a nucleus – and that includes humans – is part of the dark proteome. “And again half of that has structures that remain completely unidentified,” says Schafferhans. Furthermore, the researchers were able to identify the following properties of dark proteins: Most dark proteins are short, rarely interact with other proteins, are frequently excreted and only have a small number of evolutionary relatives. The scientists also found out that some of the assumptions previously held about dark proteins are in fact wrong. The majority of them are not disordered proteins, for example. The latter only adopt their actual structure once they perform a function. The remainer of the time they aopt varying shapes. Moreover, the majority of dark proteins are not transmembrane proteins, i.e. proteins located inside a membrane that separates cell components or entire cells from each other. Up until now, these two assumptions were believed to explain why the structure of dark proteins is so hard to identify. With their findings, which were published in the specialist journal Proceedings of the National Academy of Sciences, the researchers have laid important groundwork that will help scientists better analyze these mysterious protein molecules in the future. The researchers also hope to draw more attention to the dark proteome, because it could contain proteins that play a key role in human health. Biomedicine is a key research area at TUM, which consequently combines basic and applied research. As part of this concept, the following new research facilities were set up: the TUM Center for Functional Protein Assemblies (CPA), the Bavarian Nuclear Magnetic Resonance Center, the Central Institute for Translational Cancer Research of the Tech­nical University of Munich (TranslaTUM) and the Klaus Tschira Foundation’s Research Center for Multiple Sclerosis. As an integrative research center, TUM’s MUNICH SCHOOL OF BIOENGINEERING forms a joint learning and research platform for all pertinent activities carried out in medically relevant fields of engineering in the various faculties, including imaging technologies. TUM is also a major stakeholder in the Center for Integrated Protein Science Munich (CIPSM) cluster of excellence. The Technical University of Munich (TUM) secures its leading international position in medical protein research with a new large-scale, cutting-edge facility: Today, at the Garching Campus, Bavarian Minister of Science Dr. Ludwig Spaenle, State Secretary Stefan Müller of the German Federal Ministry of Education and Research (BMBF) and TUM President Prof. Wolfgang A. Hermann laid the cornerstone for the new research building of the Bavarian NMR Center. The heart of the facility is a 1.2 gigahertz spectrometer. The investment of 33 million euro is shared equally by the German federal government and the state of Bavaria. The nuclear magnetic resonance (NMR) spectrometer is without equal in its power and will foray into a new dimension in biomedical research: It will allow the precise measurement of the spatial structure of protein complexes and can even record their dynamics. These biosystems play a decisive role in the formation of cancer and in the mechanisms of neurodegenerative diseases. Very large protein aggregates are responsible for Alzheimer’s disease. In the future it will be possible to investigate them under near physiological conditions. The Bavarian NMR Center was founded by the TUM in 2001 to make available to the growing research community its eleven high field spectrometers in the frequency range of 400 to 950 MHz. This fulfilled a key prerequisite for internationally recognized research associations, such as the Cluster of Excellence “Center for Integrated Protein Research Munich” (CIPSM) and the TUM alliance with the Helmholtz Center Munich. The latter is contributing 3.5 million euro to the procurement of the 1.2 GHz spectrometer. Cooperation partners include the respective Max Planck Institutes. The NMR Center is directed by Prof. Sattler, who was appointed jointly by the TUM and the Munich Helmholtz Center. The executive committee will include the TUM professors Kessler, Reif and Glaser (Department of Chemistry). “The Bavarian NMR Center, for which we are laying the cornerstone today, will link the life science research at the Departments of Chemistry, Physics and Medicine, as well as the School of Life Sciences in Weihenstephan with the work of the Helmholtz Center in Munich in a truly unique manner. 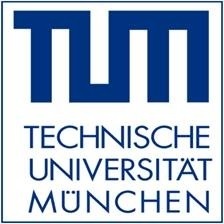 For me, this research facility, jointly funded by the Free State of Bavaria and the German Federal Government, documents the convincing research strategy of the Technical University of Munich and will further strengthen the international excellence of the TU Munich,” says Economics Minister Spaenle. The TUM will take the next significant step with the construction of a new research building for the TUM Center for Functional Protein Assemblies. The construction costs of 40 million euro will also be shared equally between the federal and state governments. The planning phase is well underway with construction slated to commence in 2016 and completion in 2018. The functionality and principles of proteins will be researched in an interdepartmental manner in the new center, which will benefit from the unique configuration of NMR facilities in Garching. “To this end, our excellently positioned research community of biophysics, with two Leibnitz prizewinners, biochemistry and medicine provide the ideal conditions. Our overall concept is rounded off with the tumor research center TranslaTUM, currently under construction at the medical campus of our clinic, and the future multiple sclerosis center of the Tschira Foundation,” said President Hermann in Garching on Monday. Agglutinated proteins in the brain, known as amyloid-β plaques, are a key characteristic of Alzheimer’s. One treatment option uses special antibodies to break down these plaques. This approach yielded good results in the animal model, but for reasons that are not yet clear, it has so far been unsuccessful in patient studies. Scientists at the Technical University of Munich (TUM) have now discovered one possible cause: they noticed that, in mice that received one antibody treatment, nerve cell disorders did not improve and were even exacerbated. Immunotherapies with antibodies that target amyloid-β were long considered promising for treating Alzheimer’s. Experiments with animals showed that they reduced plaques and reversed memory loss. In clinical studies on patients, however, it has not yet been possible to confirm these results. A team of researchers working with Dr. Dr. Marc Aurel Busche, a scientist at the TUM hospital Klinikum rechts der Isar Klinik und Poliklinik für Psychiatrie und Psychotherapie and at the TUM Institute of Neuroscience, and Prof. Arthur Konnerth from the Institute of Neuroscience has now clarified one possible reason for this. The findings were published in Nature Neuroscience. The researchers used Alzheimer’s mice models for their study. These animals carry a transgene for the amyloid-β precursor protein, which, as in humans, leads to the formation of amyloid-β plaques in the brain and causes memory disorders. The scientists treated the animals with immunotherapy antibodies and then analyzed nerve cell activity using high-resolution two-photon microscopy. They found that, while the plaques disappeared, the number of abnormally hyperactive neurons rose sharply. “Hyperactive neurons can no longer perform their normal functions and, after some time, wear themselves out. They then fall silent and, later, possibly die off,” says Busche, explaining the significance of their discovery. “This could explain why patients who received the immunotherapy experienced no real improvement in their condition despite the decrease in plaques,” he adds. Even in young Alzheimer’s mice, when no plaques were yet detectable in the brain, the antibody treatment led to increased development of hyperactive nerve cells. “Looking at these findings, even using the examined immunotherapies at an early stage, before the plaques appear, would offer little chance of success. As the scientist explains, the treatment already exhibits these side effects here, too. “We suspect that the mechanism is as follows: The antibodies used in treatment release increasing numbers of soluble oligomers. These are precursors of the plaques and have been considered problematic for some time now. This could cause the increase in hyperactivity,” says Busche. The work was funded by an Advanced ERC grant to Prof. Arthur Konnerth, the EU FP7 program (Project Corticonic) and the Deutsche Forschungsgemeinschaft (IRTG 1373 and SFB870). Marc Aurel Busche was supported by the Hans und Klementia Langmatz Stiftung. Marc Aurel Busche, Christine Grienberger, Aylin D. Keskin, Beomjong Song, Ulf Neumann, Matthias Staufenbiel, Hans Förstl and Arthur Konnerth, Decreased amyloid-β and increased neuronal hyperactivity by immunotherapy in Alzheimer’s models, Nature Neuroscience, November 9, 2015. For some years now it has been possible to generate high-brilliance X-rays using ring-shaped particle accelerators (synchrotron sources). However, such installations are several hundred meters in diameter and cost billions of euros. The world’s first mini synchrotron was inaugurated today at Technical University of Munich (TUM). It can generate high-brilliance X-rays on a footprint measuring just 5 x 3 meters. The new unit will be used chiefly to research biomedical questions relating to cancer, osteoporosis, pulmonary diseases and arteriosclerosis. Scientists and physicians are still routinely using X-rays for diagnostic purposes 120 years after their discovery. A major aim has therefore been to improve the quality of X-rays in order to make diagnoses more accurate. For example, soft tissues could thereby be visualized better and even minute tumors detected. For a considerable time, a team at the Technical University of Munich (TUM) headed by Professor Franz Pfeiffer, Chair of Biomedical Physics, has been developing new X-ray techniques. Starting October 29th, the scientists will now be able to use the world’s first mini synchrotron for high-brilliance X-rays at their institute. The Munich Compact Light Source (MuCLS) is part of the new Center for Advanced Laser Applications (CALA), a joint project between TUM and Ludwig-Maximilians-Universität München (LMU). The California-based company Lyncean Technologies, which developed the mini synchrotron, employed a special technique. Large ring accelerators generate X-rays by deflecting high-energy electrons with magnets. They obtain high energies by means of extreme acceleration, and this requires big ring systems. The new synchrotron uses a technique where X-rays are generated when laser light collides with high-speed electrons – within a space that’s half as thin as a human hair. The major advantage of this approach is that the electrons can be traveling much more slowly. Consequently, they can be stored in a ring accelerator less than five meters in circumference, whereas synchrotrons need a circumference of nearly one thousand meters. “We used to have to reserve time slots on the large synchrotrons long in advance if we wanted to run an experiment. Now we can work with a system in our own laboratory – which will speed up our research work considerably,” says Pfeiffer. Apart from being more compact, the new system has other advantages over conventional X-ray tubes. The X-rays it produces are extremely bright and intense. Moreover, the energy of the X-rays can be precisely controlled so that they can be used, for example, for examining different tissue types. They also provide much better spatial resolution, as the source of the beam is less diffuse thanks to the small collision space. “Brilliant X-rays can distinguish materials better, meaning that we will be able to detect much smaller tumors in tissue in the future. However, our research activities also include measuring bone properties in osteoporosis and determining altered sizes of pulmonary alveoli in diverse lung diseases,” explains Dr. Klaus Achterhold from the MuCLS team. The scientists will initially use the instrument mainly for preclinical research, i.e. examining tissue samples from patients. They will also combine the new X-ray source with other systems, such as phase contrast. The group headed by Franz Pfeiffer has developed and refined the new X-ray phase-contrast technique. A billion billion, i.e. 1018 computer operations per second is the level of performance that the next generation of supercomputers should be able to deliver. However, programming such supercomputers is a challenge. Since October 2015, the European Commission is funding ExaHyPE, an international project coordinated at the Technical University of Munich (TUM), which seeks to establish the algorithmic foundations for exascale supercomputers in the next four years. The aim is to develop novel software, initially for simulations in geophysics and astrophysics, which will be published as open-source software for further use. Computer-based simulations drive progress in the field of science. In addition to theory and experiments, simulations have long since been crucial for acquiring knowledge and insight. Supercomputers allow for the computation of increasingly complex and precise models. The EU ExaHyPE (“An Exascale Hyperbolic PDE Engine”) project has an interdisciplinary team of researchers from seven institutions in Germany, Italy, the United Kingdom, and Russia, and integrates well into Europe’s strategy for developing an exascale-class supercomputer by 2020. In order to be able to leverage the incredible processing power of exascale systems for correspondingly comprehensive simulation tasks, the entire supercomputing infrastructure, including the software, must be prepared for such systems. 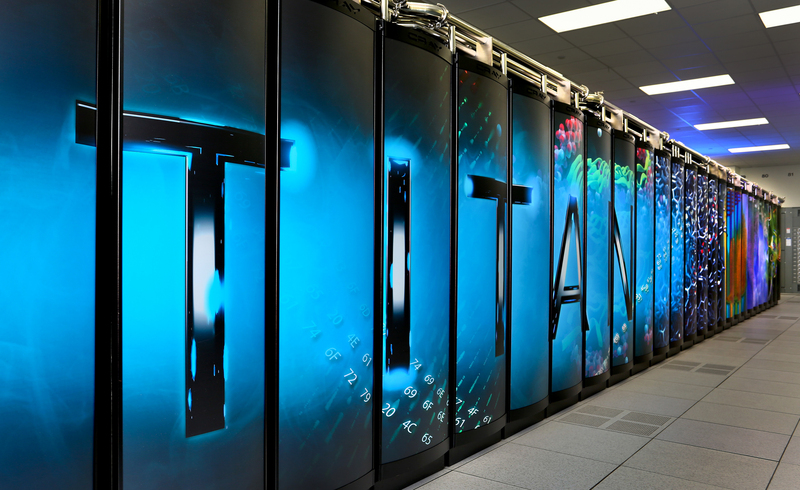 Supercomputing of the future poses immense challenges for the ExaHyPE researchers. Currently, the biggest obstacle for achieving exascale computing is energy consumption. 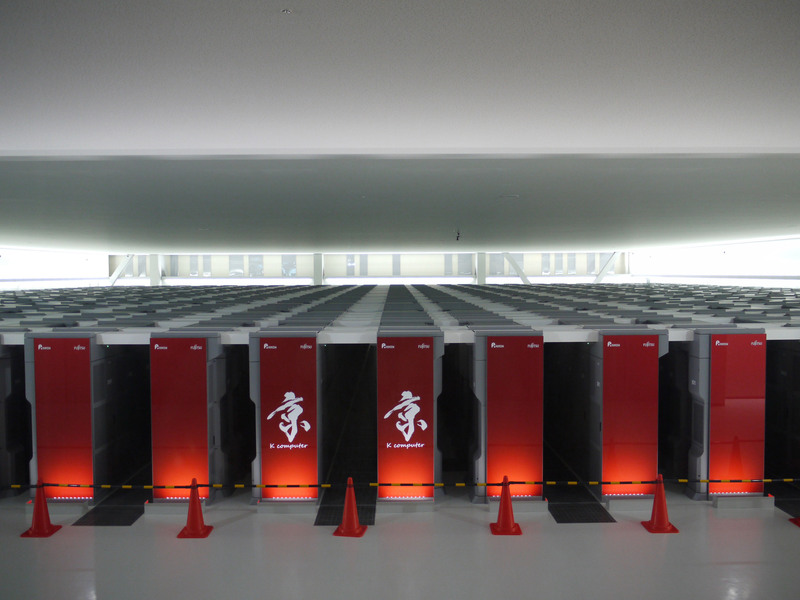 Today, the world’s fastest supercomputers – Tianhe-2 (China), [Cray] Titan (US),[IBM] Sequoia (US) and the [Fujitsu] K Computer (Japan) – operate in the petaflop/s range (1015 computer operations per second) and require between 8 and 18 megawatts, with the energy costs amounting to about US$ 1 million per megawatt and year. The ExaHyPE researchers will prepare the new algorithms based on two application scenarios taken from geophysics (earthquakes) and astrophysics (gamma ray explosions). Earthquakes cannot be predicted. 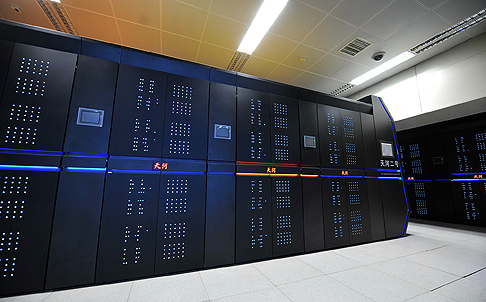 However, simulations carried out on exascale supercomputers could help us to better assess the risk of aftershocks. Regional earthquake simulations promise to provide a better understanding of what takes place during large-scale earthquakes and their aftershocks. In the field of astrophysics, ExaHyPE systems will simulate orbiting neutron stars which are merging. Such systems are not only suspected of being the greatest source of gravitational waves but could also be the cause of ‘’gamma ray explosions’’. Exascale simulations should allow us to study these long-standing mysteries of astrophysics and see them in a new light. In spite of the two precisely defined areas of application, the researchers want to keep the new algorithms as general as possible so that they may also be used in other disciplines after making corresponding adaptations. Examples could include the simulation of climate and weather phenomena, the complex flow and combustion processes in engineering sciences, or even the forecasting of natural catastrophes like tsunamis or floods. “Our objective is to ensure that medium-size, interdisciplinary research teams are able to adapt the simulation software for their specific purposes within a year of its release,” Bader says. To guarantee a rapid dissemination of the new technology, the consortium will release it as open source software. The ExaHyPE project objectives call for an intensive cooperation of experts across many disciplines and country borders. On the German side, the consortium includes the Technical University of Munich, the Frankfurt Institute for Advanced Studies, the Ludwig-Maximilians-Universität München and the Bavarian Research Alliance. Italy is represented by Università degli Studi di Trento and the United Kingdom by Durham University. The consortium is supplemented by the Russian supercomputer vendor ZAO RSC Technologies. Humanoid robots are intended to become more and more like people. But walking on two legs – one of the characteristic features of the human being – continues to pose particular problems to these machines. Dr. Daniel Renjewski of the Technical University of Munich (TUM), together with his colleagues at Oregon State University, has developed a robot whose gait comes closer than ever before to that of humans. The results of their study could also be used to develop better prostheses. When we walk, we are not consciously aware of the structure of the ground. Our body has the ability to automatically compensate for small uneven patches without tripping or coming to a standstill. Walking robots, such as the humanoid “Asimo” from Japan, closely resemble humans in appearance, but tend to walk slowly and stiffly. They also use up a lot of energy in the process. Humans and animals do not think about walking, explains Dr. Daniel Renjewski of the Chair of Robotics and Embedded Systems at the TUM. “The intelligence lies in the mechanics.” Tendons and muscles cushion the impact of any uneven patches in the ground. “When we walk, one might say that we fall from one step into the other,” says Renjewski. This means that our gait is sometimes unstable. Were we to interrupt our stride in mid-movement, we would fall. This type of dynamic movement is difficult to control in a robot designed using conventional approaches. To guarantee that the machine is always stable and does not fall, the engineers therefore have to measure where the robot is located at every point in time, and how its center of gravity shifts as it moves. The price for this accurate steering is that its movements are by necessity controlled and stiff. In most cases, the machines walk on level terrain in the laboratory and are only required to avoid defined obstacles. The goal for Renjewski and his colleagues at Oregon State University was to develop a robot whose gait is the same as that of a human. The name they gave to this robot, which they describe in a report in the journal IEEE Transactions on Robotics was “ATRIAS” (Assume The Robot Is A Sphere). The development of ATRIAS is based on the so-called spring-mass model, first presented in 1989. It describes the underlying principle of walking on two legs. In this model, the entire mass of the body is concentrated into one point, which is attached to a massless spring. The spring is a simplified representation of the muscles, bones and tendons on which the forces generated during walking act in the real world. The researchers had to make a few more adjustments to enable them to implement this theoretical model technically: in reality, the springs also have mass, and motors are needed to compensate for unavoidable damping in the system. ATRIAS has three motors in each leg for this purpose. Two of the motors act directly on the two leg springs. The third motor ensures lateral stability. ATRIAS’s legs make up ten percent of its total mass, to get as close as possible to the theoretical lack of mass. Trials showed that it walks three times more efficiently than other human-sized biped robots. Even outside forces, such as being hit by a ball or a rough terrain, cannot unbalance it. Prof. Jonathan Hurst of Oregon State University, and the initiator of the study, is sure that this type of locomotion will catch on in walking robots of the future. If the technology is improved even further, these robots could, for instance, be used to assist firefighting. However, these research results are also meaningful for people. In the next research step, Renjewski, who moved to the TUM in May of this year, is working on transferring these findings to robots for gait rehabilitation and prostheses. The work was supported by the National Science Foundation, the Defense Advanced Research Projects Agency and the Human Frontier Science Program. Plants adapt their flowering time to the temperature in their surroundings. But what exactly triggers their flowering at the molecular level? Can this factor switch flowering on or off and thus respond to changes in the climate? In a study currently published in PLOS Genetics, a team headed by Professor Claus Schwechheimer from the Technical University of Munich (TUM) describes a molecular mechanism with which plants adapt their flowering time to ambient temperatures and thereby indicate ways in which the flowering time can be predicted on the basis of genetic information. Plants adapt their flowering time to the temperature in their surroundings. To flower at the optimal time, they take factors like temperature, day length and temperature fluctuations into account. Although the mechanisms that cause flowering before and after winter are largely known by now, relatively little is known about how plants delay their flowering time during a cold spring. Such processes are very important, particularly in regard of global warming with relatively small fluctuations in temperature, as the correct flowering time guarantees optimum arable yields for farmers – and also ensures that the thale cress Arabidopsis thaliana prevails in the everyday evolutionary struggle for survival. In the current edition of the journal PLOS Genetics, the team, headed by Professor Claus Schwechheimer from TU Munich in close cooperation with colleagues from the German Research Center for Environmental Health (Helmholtz Zentrum Neuherberg) and the Max Planck Institute in Tübingen, describe the molecular mechanism with which the thale cress Arabidopsis thaliana adapts its flowering time to the ambient temperature. Interestingly, the first indication of the existence of this natural gene variation came from the cool latitudes of Scotland. This led the scientists to discover a molecular mechanism that causes Scottish thale cress to flower two weeks earlier than its counterparts in warmer regions. Due to the insertion of a so-called jumping gene (transposon), the formation of the crucial flowering gene was so minimal that the function of the flowering repressor no longer had any effect. And that’s not all: Ulrich Lutz, first author of the study, was also able to show that this gene mutation has already become established in several other variants of the thale cress and controls flowering behavior in them. The researchers were even able to trace their steps here and predict the flowering behavior of the thale cress based on the presence of the jumping gene (transposon) with a high degree of accuracy. Already in the near future, it should be possible to transfer this knowledge to the flowering behavior of crop plants like rapeseed. Plants react to the experience of a long cold winter and to extended cold periods in spring by delaying their flowering time. The molecular mechanisms with which plants perceive these cold periods differ, however. In the case of winter cereals, like winter wheat, the seed can germinate in autumn but the plant does not flower, as it needs the experience of winter to act as a wake-up call indicating that the correct time for flowering has come. The genes that regulate this process are already known in many plants. In spring wheat, for example, they have been modified by conventional breeding that the plant flowers even if it is planted in spring. The temperatures in a cool or warm spring also affect flowering behavior; however, very little is known about this. Given that small changes of just a few degrees Celsius can have a negative impact on agricultural production, it is important to understand these processes. The findings of the research team from the TUM Department of Plant Systems Biology could help with the prediction and even modification of plant flowering time in the future. Such insights are also important for plant breeding to ensure that food production can be guaranteed in the long term in the context of progressive global warming.